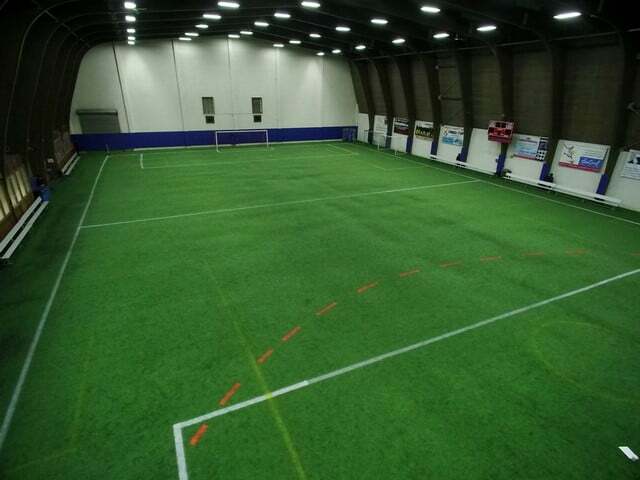 Our flawless artificial turf fields are the perfect surface for improving your skills. 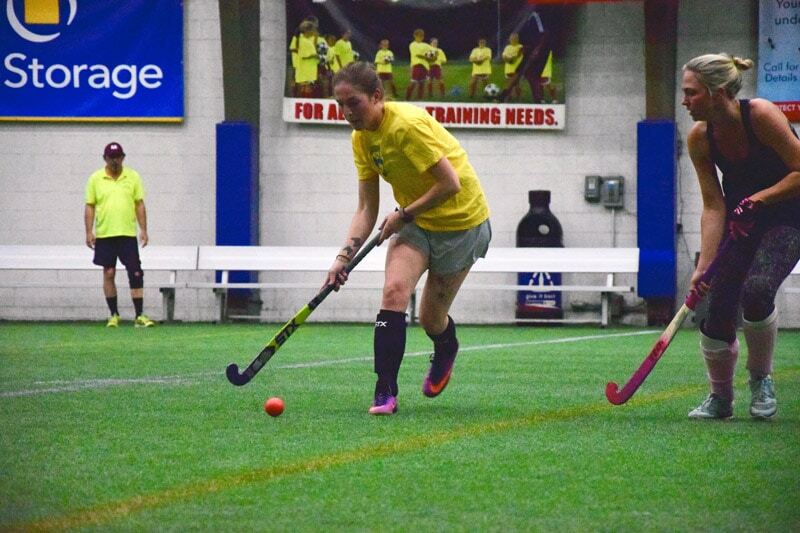 Our intermediate and advanced camps and clinics are expertly overseen by Jersey Intensity at the direction of Kathleen Kelly a former Princeton University All American. Kathleen’s youth teams are consistently ranked nationally. 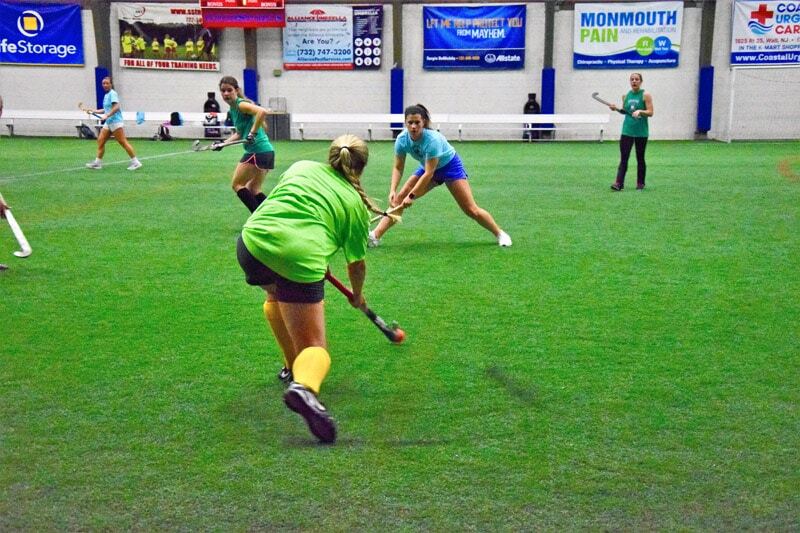 Our High School and Adult leagues are the most competitive leagues you will find in New Jersey. 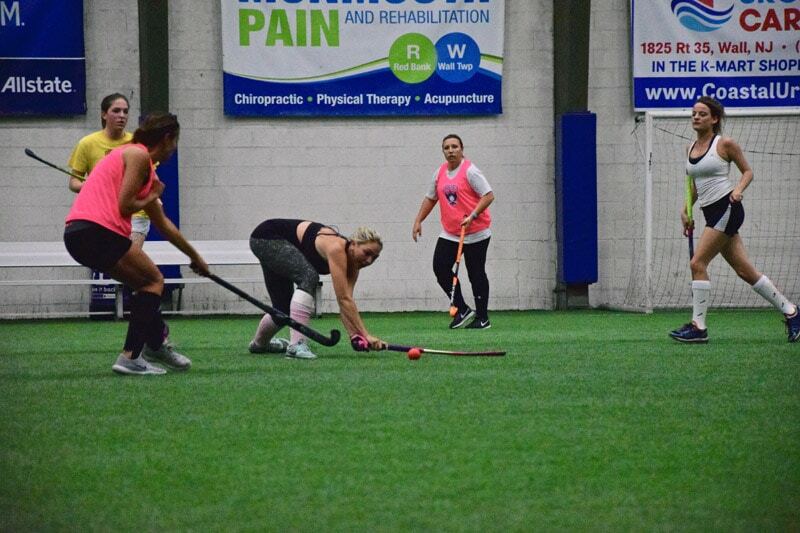 To view our list of field hockey free agents, click here. 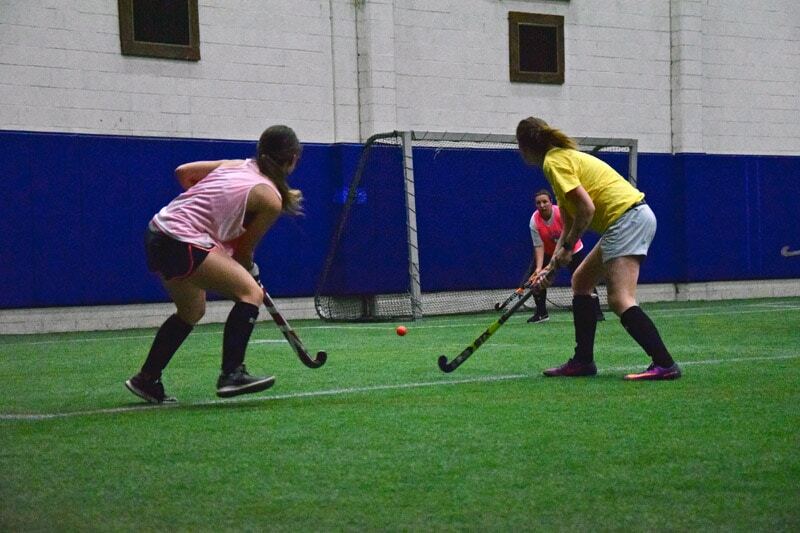 We offer leagues for middle school, high school, and women. 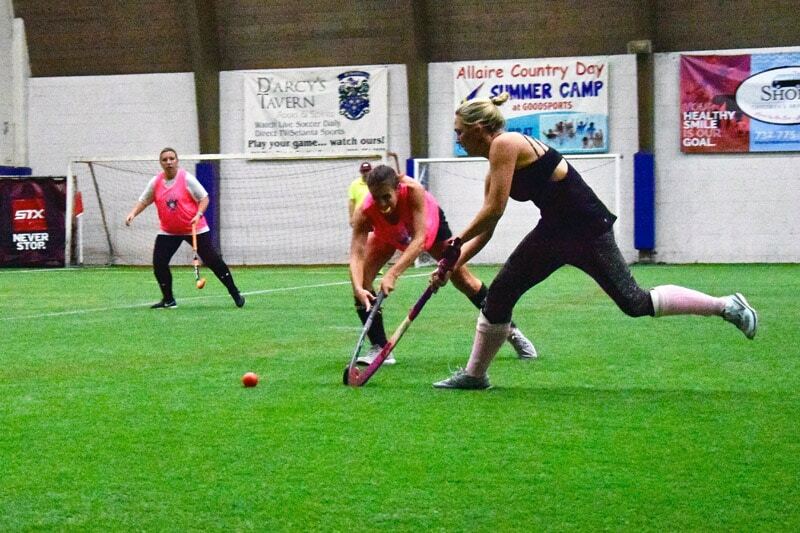 Leagues are played on our beautiful, indoor, climate-controlled turf field. All leagues play 7v7. This program is fun and beneficial to all players – all skill levels are welcome. Must have some field hockey experience. (this is not a total beginner program) The instructional league is a great way to learn or improve your game. Each week there will be instruction and then players will be split into teams for instructional scrimmage game play. Register with teammates, friends or on your own. 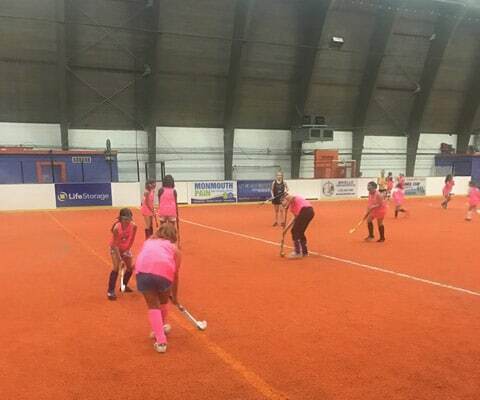 Our field hockey camps and clinics are run by Jersey Intensity Field Hockey. Their coaching staff is the best in the area! Their experienced, knowledgeable coaches will take your child to the next level. This clinic is geared for the most serious, dedicated player covering all aspects of the game. There will be an emphasis on fast stick skills and techniques. Only 8 girls per class with one instructor allowing for a very personal training environment. Classes are offered on Thursdays or Sundays. Not for beginners. Must have at least 1 season of playing experience. This is a specialty camp for goalkeepers & field players.